Muncha Muncha Muncha by Candace Fleming. Mr. McGreeley has planted his garden and is looking forward to enjoying the spoils... Unfortunately (for him), three bunnies are already enjoying the veggies with a "Muncha muncha muncha!" Filled with fun sounds, this is a great readaloud for a spring or garden-themed storytime. 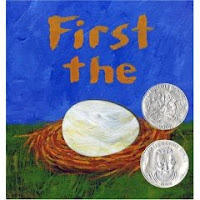 First the Egg by Laura Vaccaro Seeger. 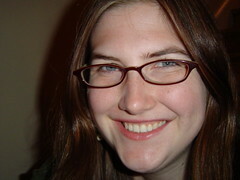 One popular topic as we head into spring is growing things. In First the Egg, we see an egg... then a chicken. A caterpillar... then a butterfly. Beautiful artwork compliments simple text that preschoolers will enjoy chiming in on. 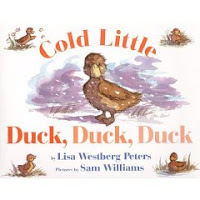 Cold Little Duck, Duck, Duck by Lisa Westberg Peters. This one is perfect for a climate such as mine. We're yearning for spring, but it's still quite cold. Little duck is cold, too, arriving too early at her pond. Her feet stick to the ice and only thoughts about the lovely spring to come can help her stay positive until spring comes for real. 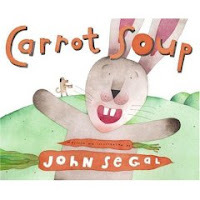 Carrot Soup by John Segal. Rabbit's been gardening, tending his carrots, and anticipating the day when he will reap his harvest and make his favorite... carrot soup. But to rabbit's surprise, when he heads out to pick the carrots, they've disappeared! All that's left are a bunch of holes in the ground. Rabbit asks his friends if they've seen them and in the background we can see characters sneakily carrying loads of carrots off. When no one can tell rabbit where his carrots are, he dejectedly heads back home, only to find that his friends have surprised him by making carrot soup for him. Kids will love picking out the sneaky animals in the background and it's a sweet story about sharing and doing something kind for a friend. 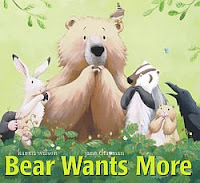 Bear Wants More by Karma Wilson. I really love everything Karma Wilson does. With clear, colorful pictures and sweet, often funny rhyming stories, you really can't go wrong with adding Wilson to your storytime. In Bear Snores On, Bear laid down for his long winter's nap. In Bear Wants More, he's waking up from hibernation and eating everything in sight! The repeated phrase "Bear wants more!" invites kids to join in and the rhyming story will help increase their phonological awareness. 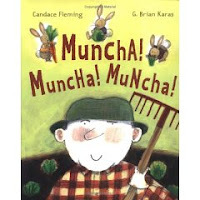 Muncha Muncha Muncha is a book that my students enjoy. I love Muncha Muncha Muncha! And First the Egg. Hmmm... maybe a spring storytime next week?